Everybody knows Tai Long Wan is Hong Kong’s best beach. But not everyone knows how to get there without the 1 hour hike which makes you want to give up on life in the 100% humidity 30+ degree Celsius Hong Kong summer. Basically Tai Long Wan is comprised of 4 beaches connected to each other via short trails. Ham Tin Wan (salty field bay in Chinese) is probably the most popular of the four, thanks to its facilities (you can eat and rent boards here as well as camping equipment). MTR Hang Hau (purple line) Exit B – trust me, this is the easiest way. Choi Hung is a nightmare interchange, we got lost in a wet market trying to find the minibus to Sai Kung. In Hang Hau you just get off and the minibus stop is right outside the exit. Sai Kung Pier – ask any of the water taxis to take you to Ham Tin Wan. It should cost HK$130-150 per way per person. They’ll overcharge you if they can; it’s cheaper if you share the boat with many people. Usually there are a lot of people to share with during summer anyway. The boat fits around 21 people max, I would say. Book your trip back from the shop/restaurant at Ham Tin if you haven’t booked a round trip from Sai Kung Pier. The last boats usually go at 6pm. The boat ride to and from, by the way, is such a pleasure. The wind in your face, the sun/sunset, seeing the different islands, wakeboarders, windsurfers, yachts… makes that $150 extra (instead of hiking for free) so much worth it. 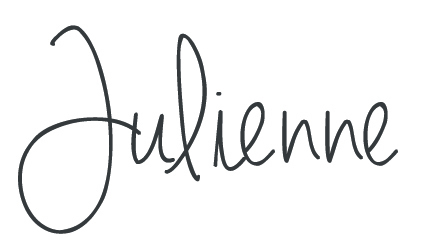 Great pictures, Julienne, I love your website, it is cool. Well… There’s even easier to get to Sai Kung. Get off at Ongkok MTR and take the Red Minibus from Dundas Street. 30 min later you’ll be there. Oh really!! Let me try that next time! Very useful blog and nice blog! I want to share it on my site if you don’t mind. Thanks for sharing this tip! we are visiting HK with my girlfriend and tomorrow is our last day so we are completery out of battery after all the previous hikings so we might take your option. Question is, tomorrow is friday and we are in october so do you think we will have a chance to get a boat? and if yes for a reasonable price? we’re thinking may be we will be the only 2 people who want to get to Ham Tin so they might charge us extra for the boat. Hi Ivan! Glad you’re exploring the great outdoors of Hong Kong. Actually you never know when they have those boats running, sometimes when the waves are too choppy or high or unpredictable they won’t do it. But if it’s good weather and a decent amount of people there should be a bout going to either Ham Tin or Sai Wan… You’ll just have to take your chances! :0 Sorry if that’s not much help but that’s really the way it is 🙂 Enjoy! Thank you for the info and blog. great info. I want to take my kids camping, and as we have a speedboat, I am wondering if we are able to anchor off the beach overnight? have you seen any boats staying overnight in your travels? Sorry I’m not exactly the expert on this, you’ll have to ask people who sail in HK 🙂 I’ve seen yachts and junks anchoring – but not overnight. Hi Julienne, I follow your advices and everything went well, I was there yesterday and It was just amazing even my friends who are coming from HK couldn’t believe that. I hope to find more in your blog. Hi Julienne! Thanks for all the info. I am planning on camping out on ham tin beach some time in January. I’m gonna bring my own equipment. Is there any chance i can get Wifi there (I know how that sounds) and camp there without renting the shops equipment?